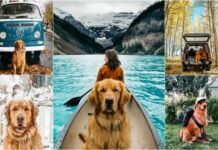 With more and more people opting for the condo life, an increasing number of pets have been finding themselves homes in the sky as well. 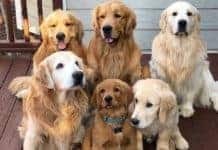 While most condo associations were once averse to the idea of pets in the buildings, developers are quickly realizing that offering pet ownership puts them a head and shoulder above competitors and they are offering everything from outdoor pet parks and in-house doggie spas with showers to rooftop dog runs. 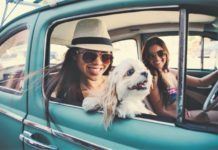 Condo laws differ greatly when it comes to pets. Some buildings may not be so tolerant towards pets. Therefore, if you are looking for a condo, or looking to bring in a pet in your condo unit, it is wise to be aware of what to expect so that you don’t meet any surprises along the way. Having a pet in your house is like a blessing for many as it can make people happy. If you live alone or have a small family, a cute cat or a dog can be a welcome addition to the family. One thing that I would like to put emphasis on here is that only people who are real pet lovers can offer a pet a home where they can live in total peace. You must have heard real-life stories where people harm pets and offer them a place to live in their home in a cruel way. That’s simply not right as you need to make sure this doesn’t happen when you are thinking to have a pet in your home. Otherwise you need to simply abstain from getting a pet in your home. What Pets Am I Allowed? Pet restrictions are prevalent but vary from place to place. While the most commonly accepted pets are still dogs and cats, most condos allow small caged pets, such as hamsters, guinea pigs, mice, and birds. Obviously pet policy in condos are stricter when it comes to freely wandering pets as they will need to be licensed by the city before they can be kept in the house. While duplexes and townhouses are more tolerant towards your choice of pets, condos prove to be more restrictive due to their shared walls and size. It’s good to know which pets are accepted by your condo building before deciding on a condo. Are There any Size Restrictions on The Pet Size? Sometimes there is, sometimes there aren’t any regarding pet rules in a condo. While it may sound pretty weird to think of someone imposing a limit on the size of pet you can keep, there are many reasons why your condo board wants you to follow these rules. 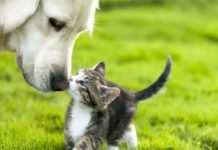 Sound factors, potential damage to the building, and waste concerns, might be some of the reasons your condo association is hesitant when it comes to pets. For instance, imagine a St. Bernard barking at the top of his lungs or kicking up a storm in excitement in an 800 square foot apartment. All the while, a neighbor may be trying to sleep or concentrate on work. In this case, a Chihuahua is a much better choice to have. Sometimes, the size restriction will be set in stone, such as a pet weighing more than 30 pounds cannot be housed within a condo. Some bylaws adopt a gentler approach when it comes to limiting the size of pets in their pet restrictions. Instead of setting down a weight, they may necessitate that owners carry their pets downstairs instead of walking them. If the owners can’t carry it, the pet is probably too large and therefore, off-limits. 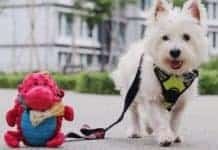 To know which pet would work for your condo, do your diligent research and know the laws governed by your condo association. While condo bylaws also limit the number of pets per unit, this number varies from building to building. For the same reasons as size restrictions, condo owners generally cannot keep more than 2 pets. However, there can be exceptions in the case of harmless, small caged animals like hamsters and tarantulas. Be sure to go through your bylaws to know if you need board approval before sharing quarters with a furry friend. 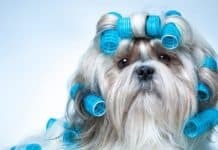 Some condo bylaws in their pet rules in a condo explicitly state that owners cannot allow or keep pets without written approval. On one hand, this shows that the building isn’t altogether averse to the idea of pets, but on the other, this clause makes sure that only responsible owners are permitted to keep pets, thereby protecting everyone in the community. This is because pets with irresponsible or ill-fitting owners, become a nuisance for others. You would be wise to check out the pet restrictions for any condo you are thinking of buying. 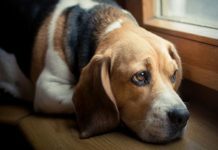 Every day, we see condo owners winding up in legal battles over their pets, simply due to the fact that prior to closing their deal, they didn’t think it important to learn whether pets were allowed. Pets should only be walked in a specifically designated pet area. In the absence of such a place, pets can only be exercised in pre-defined areas. Pet owners need to make sure that their pet is spayed or neutered by 6 months of age. 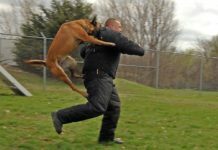 Pet Owners need to make sure their pets are not a source of disturbance or chaos, including relieving themselves in common areas, exhibiting dangerous or aggressive behavior, or barking or making disturbing sounds during specific times.